WinterWomen.com A blog about fitness, fashion, health, travel, and everyday life. 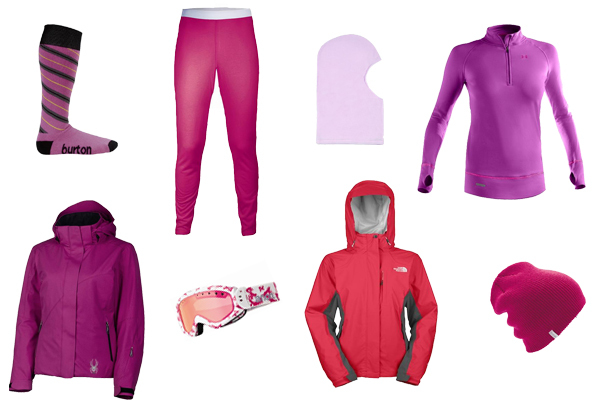 Light up your spring ski wardrobe with all shades of pink! From top-left clockwise: Burton Microsupreme Sock in Cosmo; Hot Chillys Pepper Skins Solid Bottom in Razzle; TurtleFur Micro Fur Balaclava in Powder Pink; Under Armour Base 2.0 1/4 Zip in Viola/Tropic Pink; Coal Frena Solid Beanie in Magenta; The North Face Varius Guide Jacket in Retro Pink; Anon Majestic Goggle in Scratchy; Spyder Project Jacket in Shocking Pink/Black. A proud Colorado resident for 13 years, Jacqueline loves working up a sweat and being active outdoors, whether it's hiking 14ers, running the city, or working out at Red Rocks. She also loves traveling and having new adventures in the U.S. and throughout the world, spending time with her friends and family, good food and drink, and last, but certainly not least—the Denver Broncos! 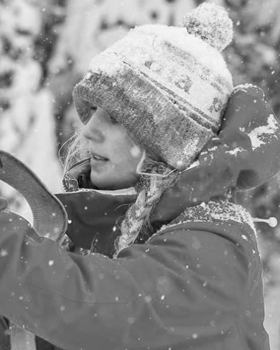 « Behind the Scenes: The Annual WinterWomen Photo Shoot!